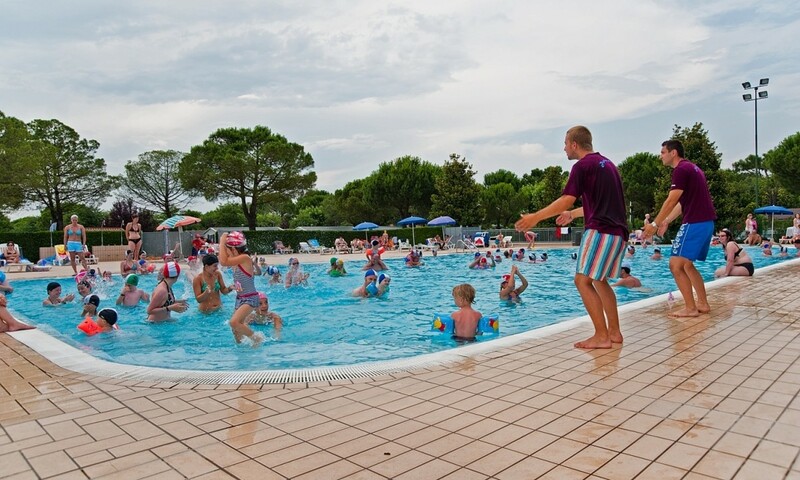 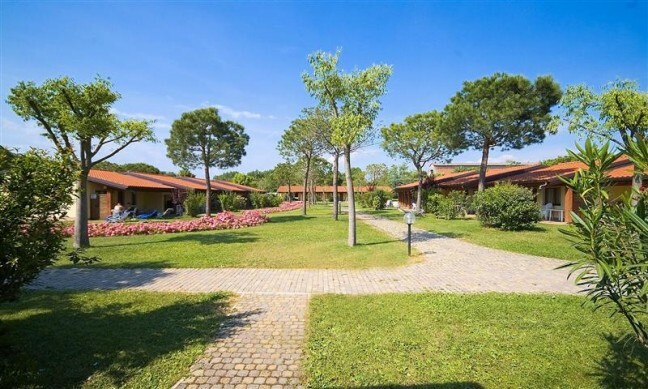 Del Garda Village & Camping is a friendly campsite with a wonderful pool and excellent sport facilities. 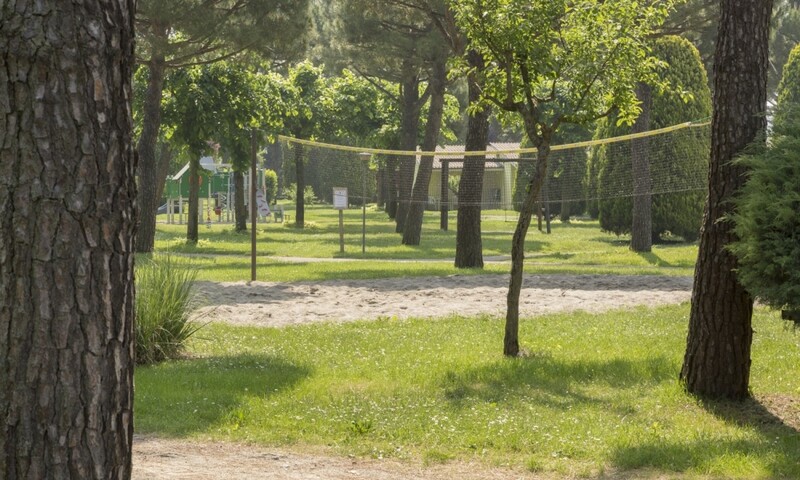 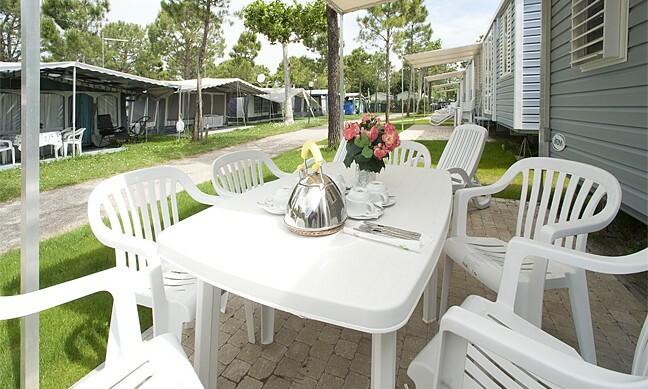 Del Garda Village & Camping is a well-maintained family campsite with a natural charm. 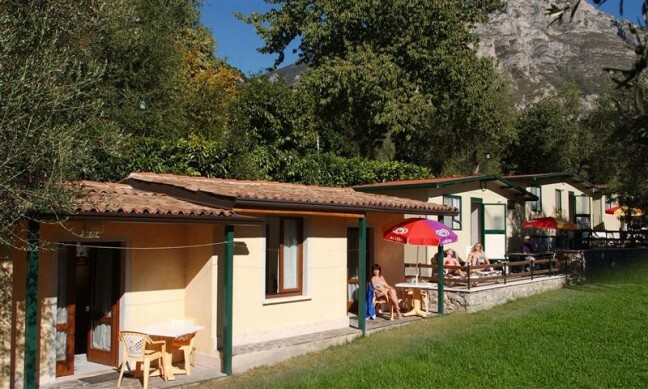 The pretty village of Peschiera de Garda is within walking distance from the campsite. 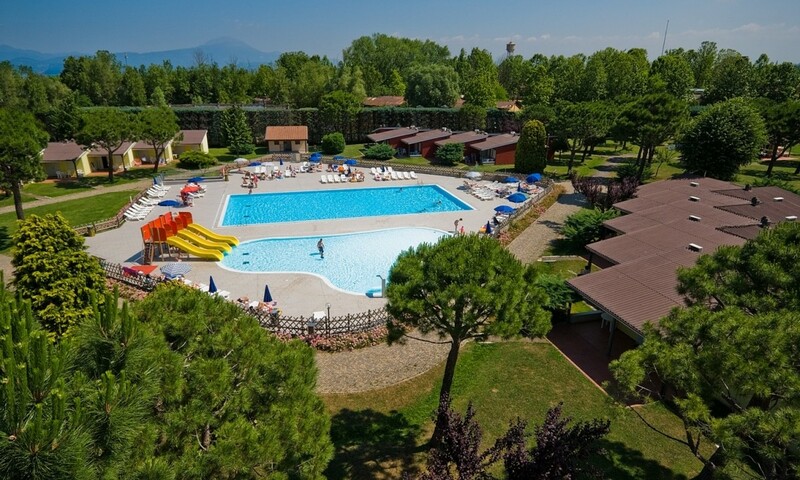 Del Garda Village & Camping has 2 swimming pool complexes with slides. 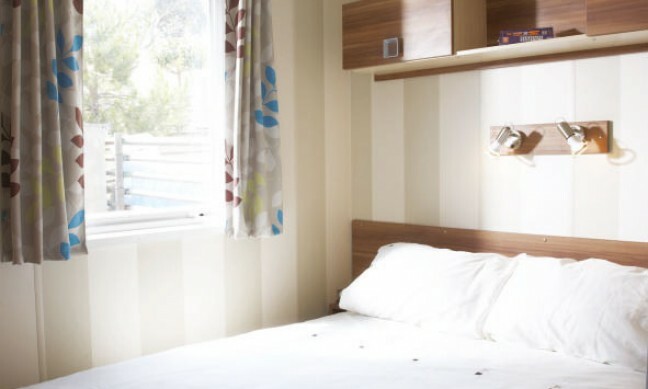 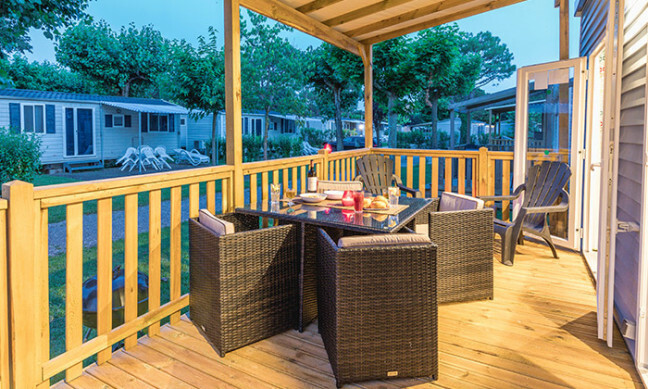 You will be able to relax on the sun loungers while your children have a fantastic time playing on the slides and in the pool. 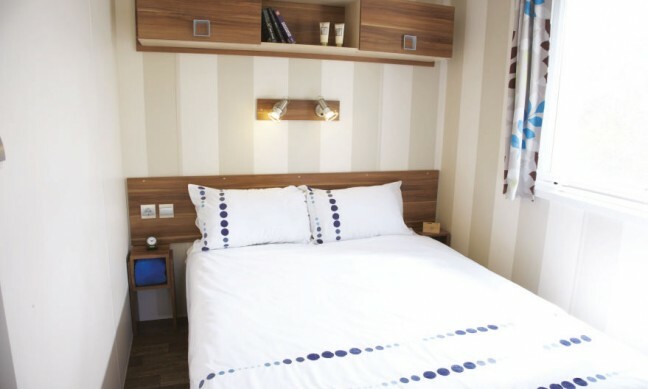 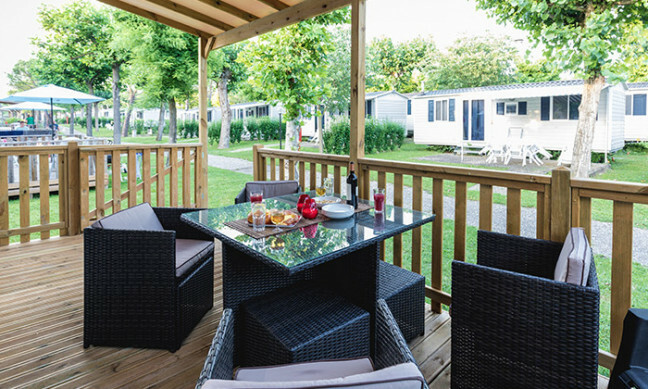 The beautiful Lake Garda is within walking distance from the campsite, where you can relax on the beach enjoying the fabulous views and dive off the wooden jetty into the refreshing water. 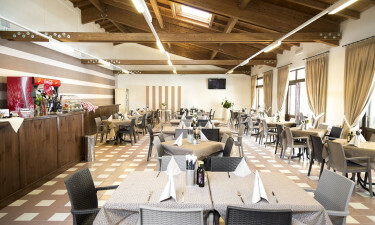 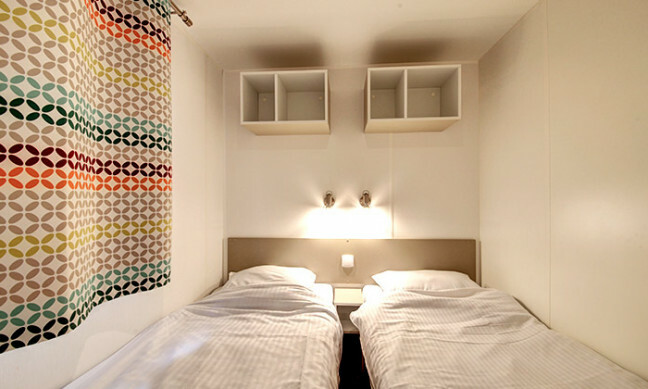 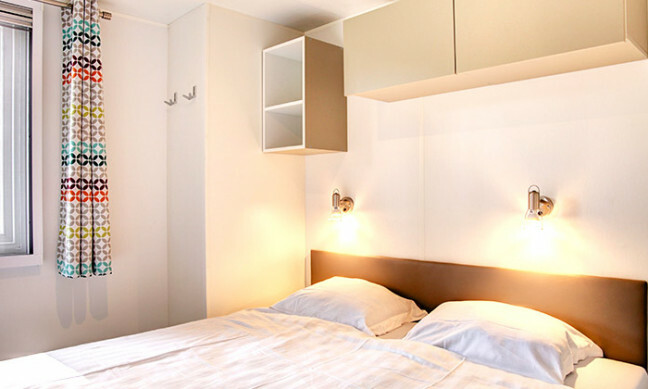 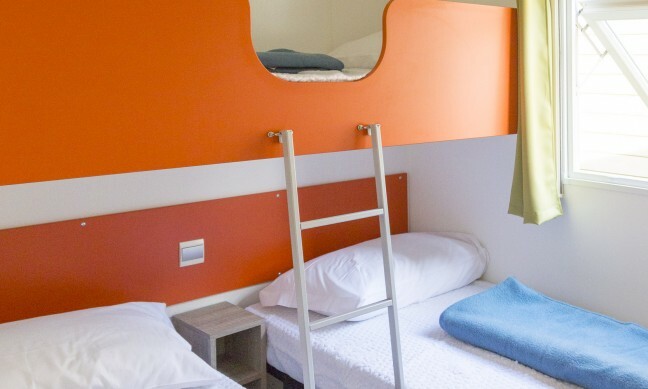 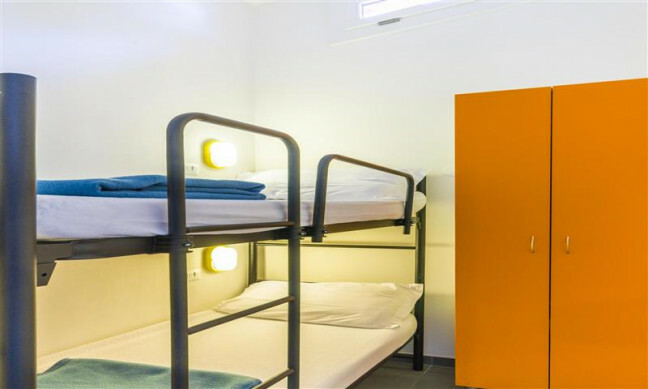 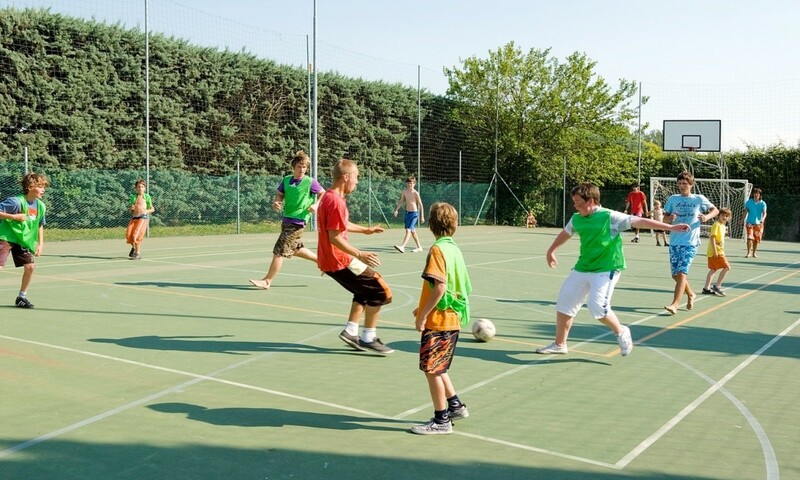 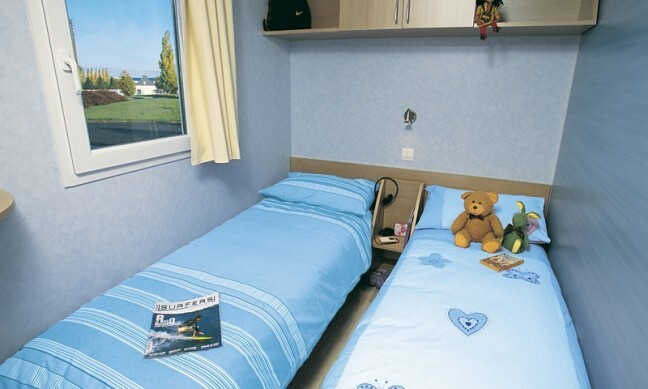 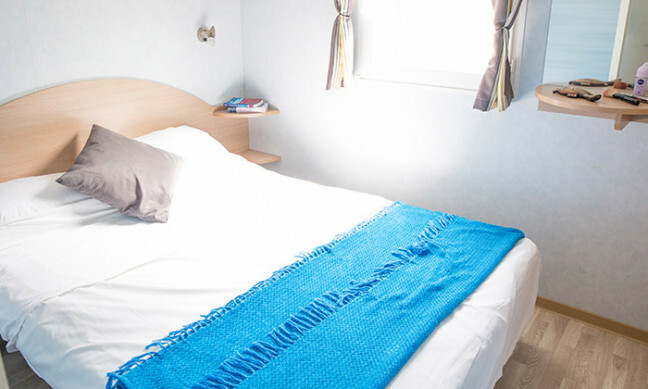 Del Garda Village & Camping has numerous facilities and during high season there are activities for children and adults. 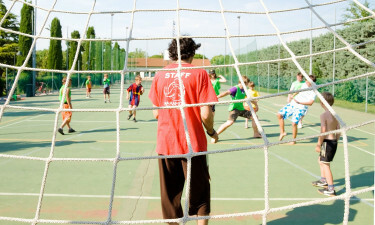 There is a variety of sport activities during the day and in the evening you can enjoy the events organised by the entertainment team. 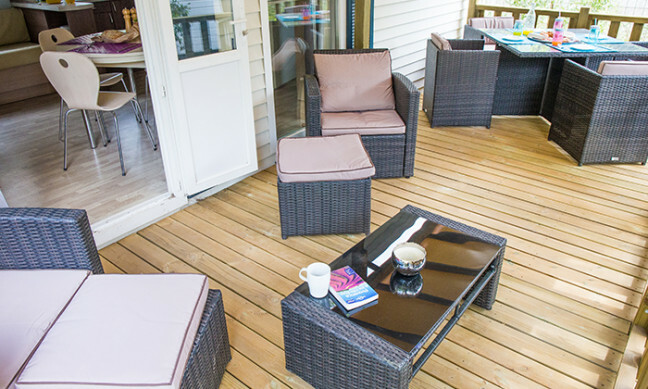 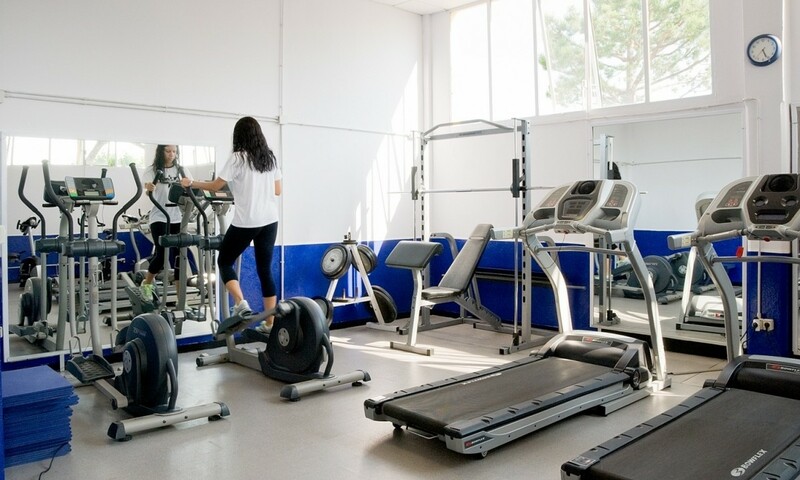 Sports lovers can enjoy the modern fitness centre or play tennis on one of the beautifully maintained courts. 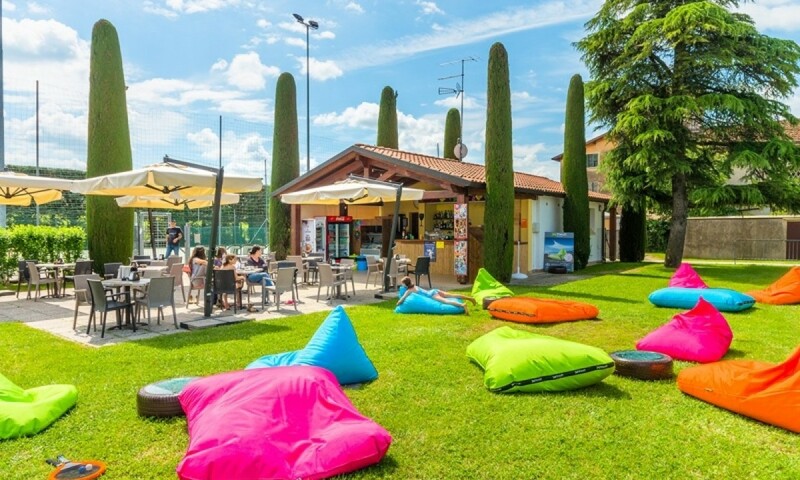 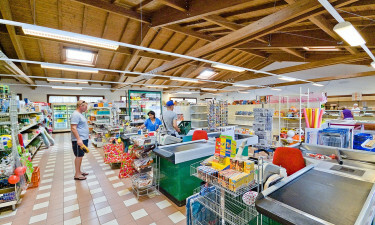 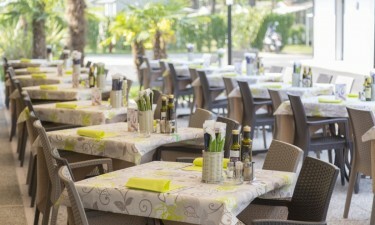 Del Garda Village & Camping has a well-stocked shop, a delicious Italian restaurant and a lively bar. 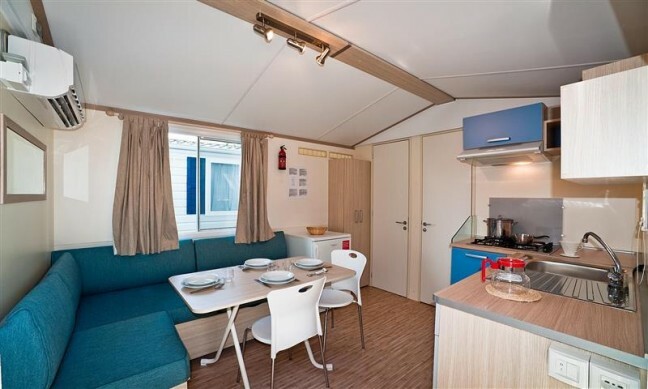 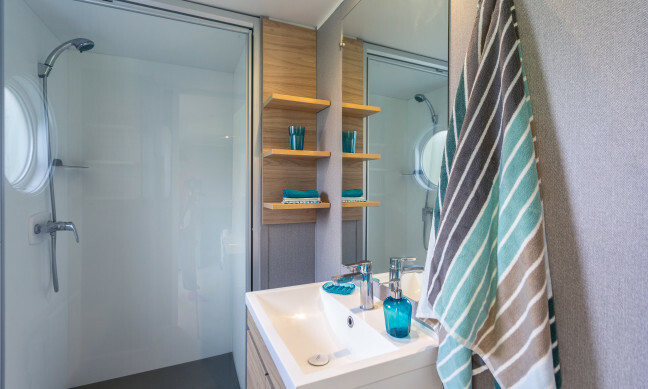 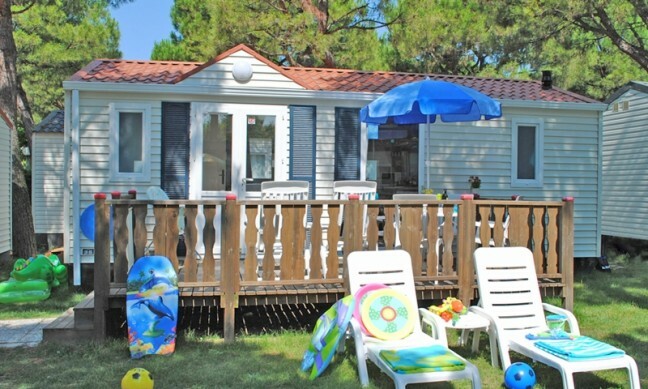 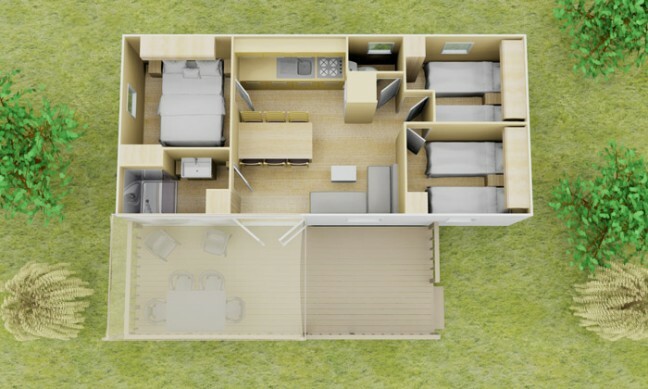 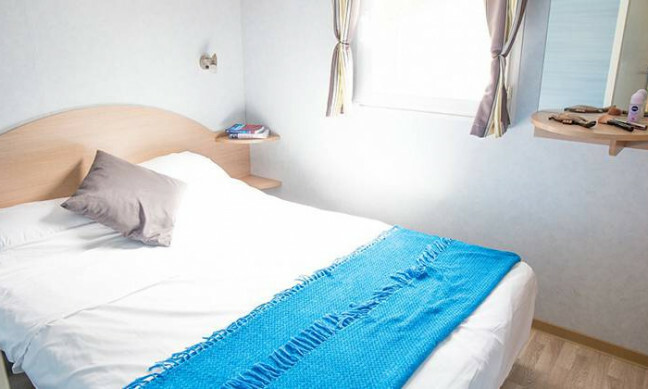 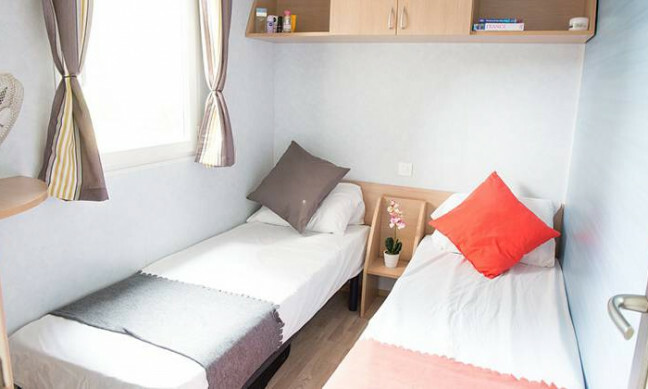 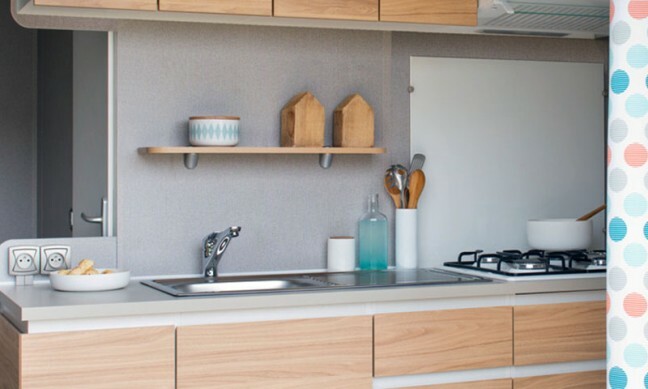 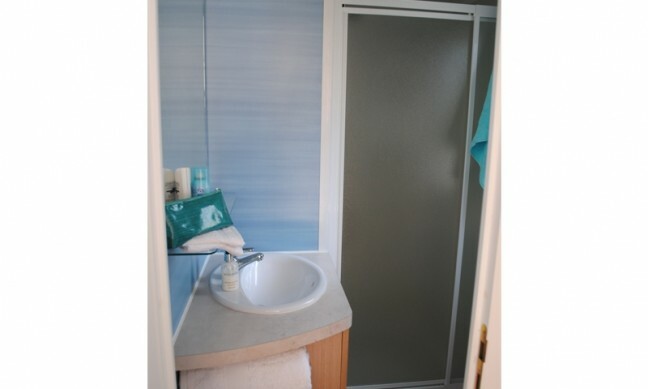 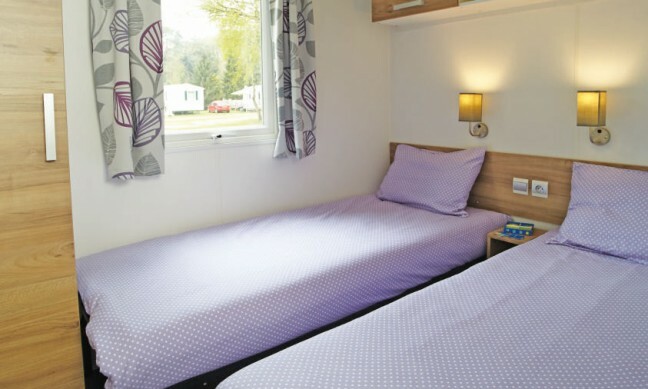 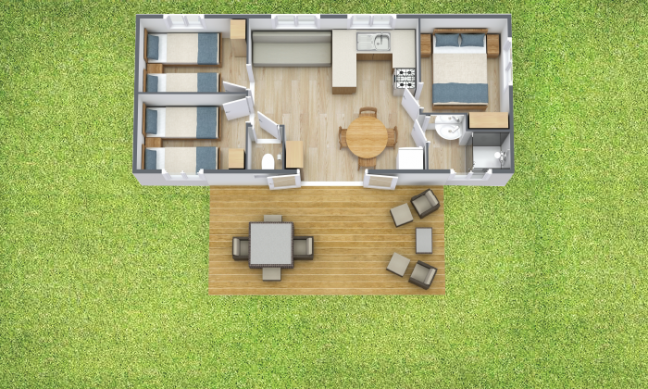 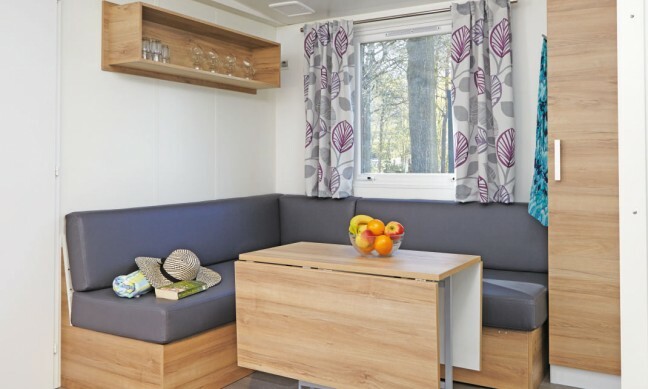 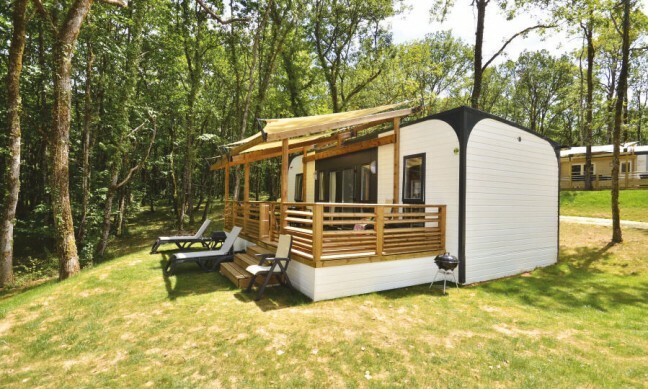 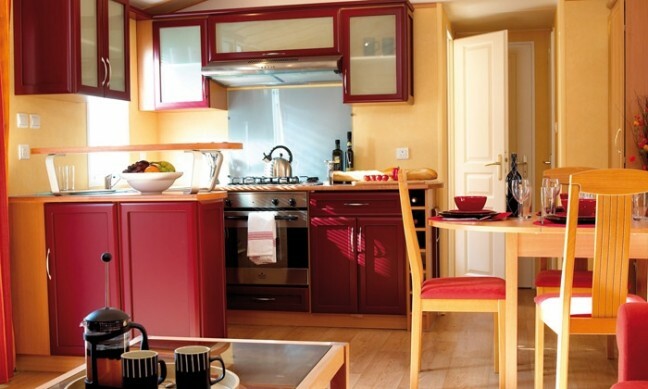 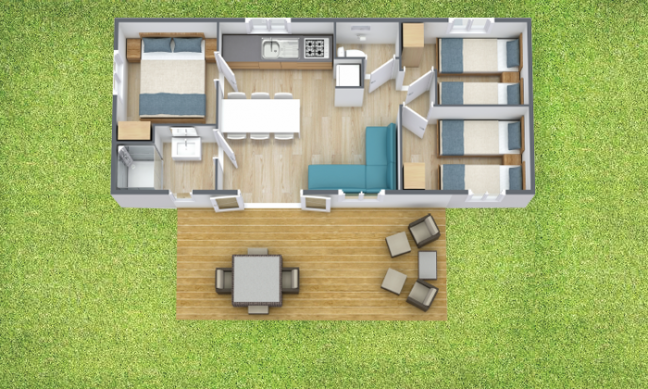 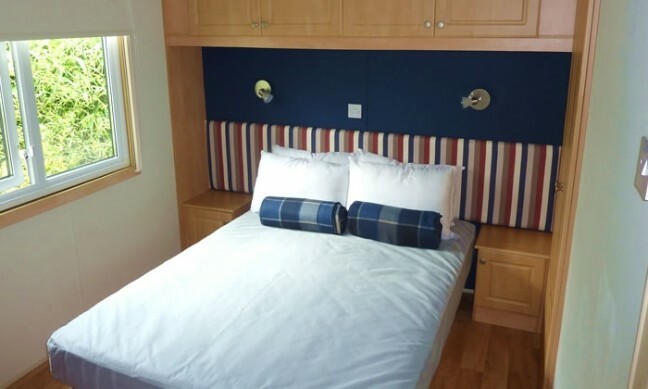 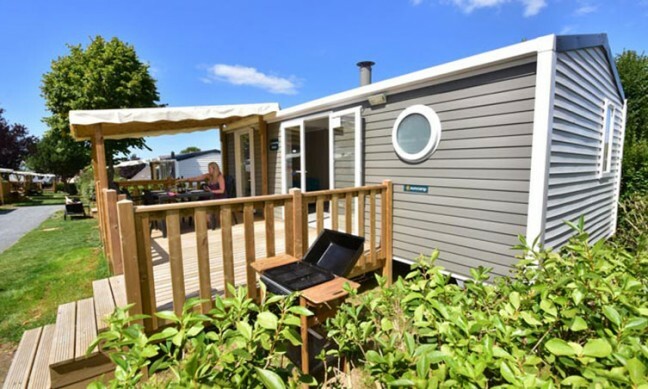 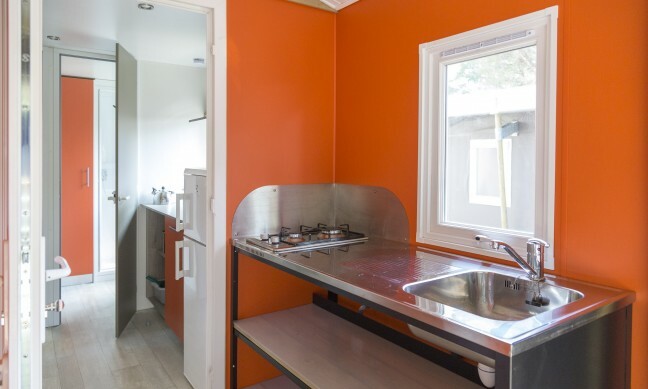 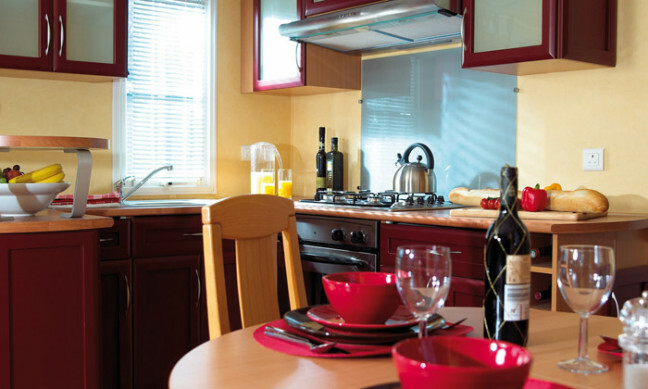 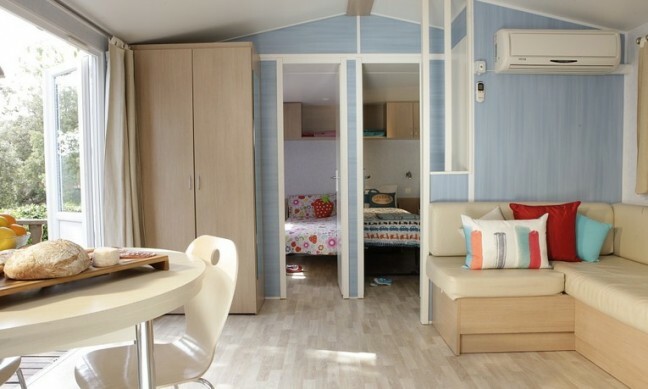 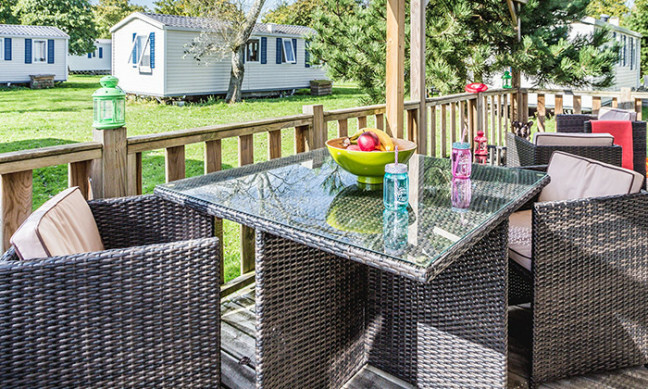 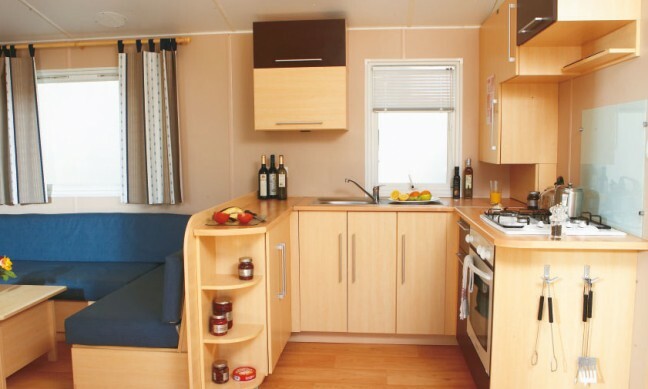 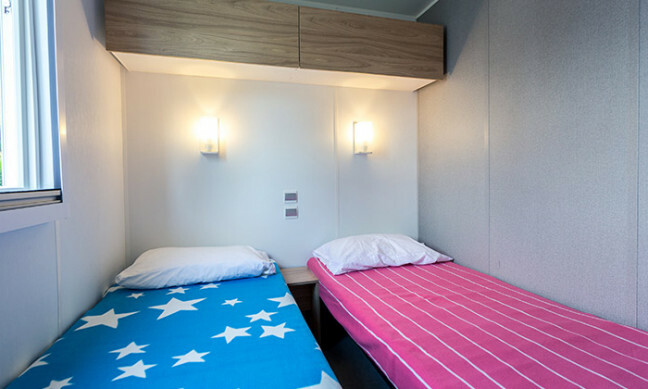 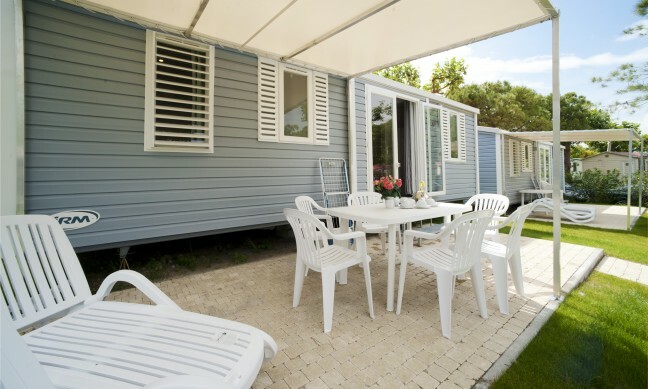 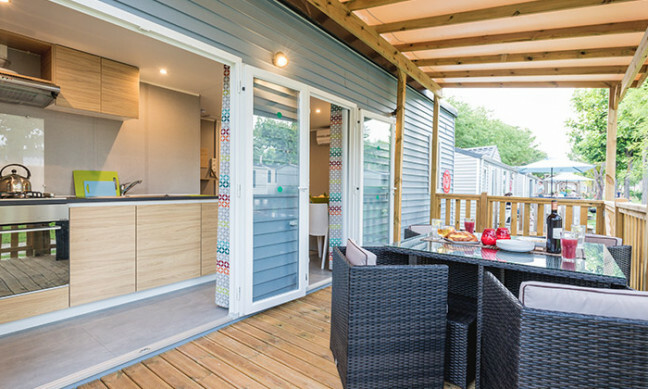 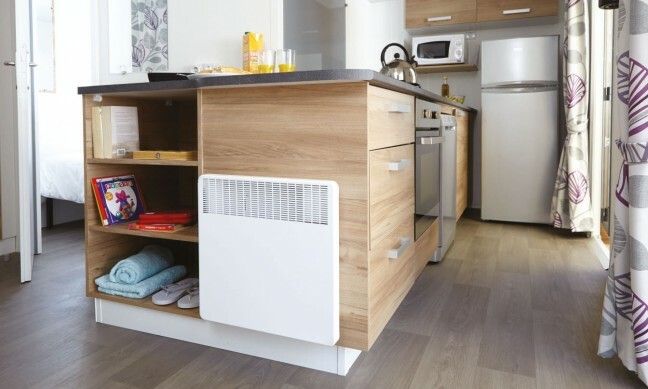 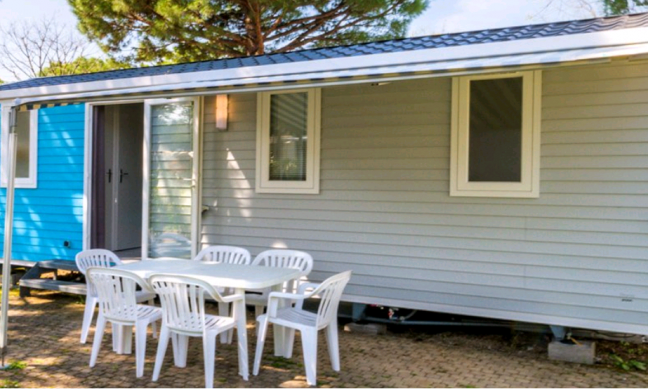 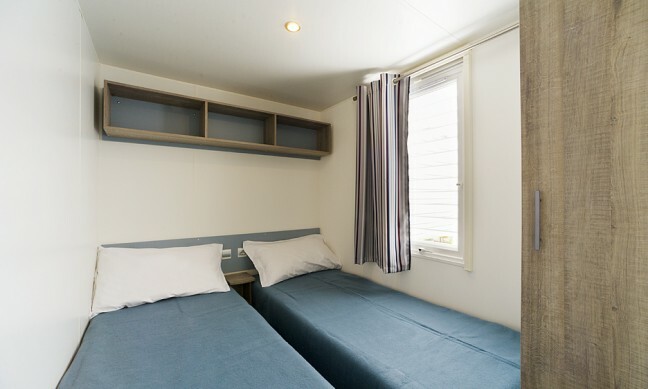 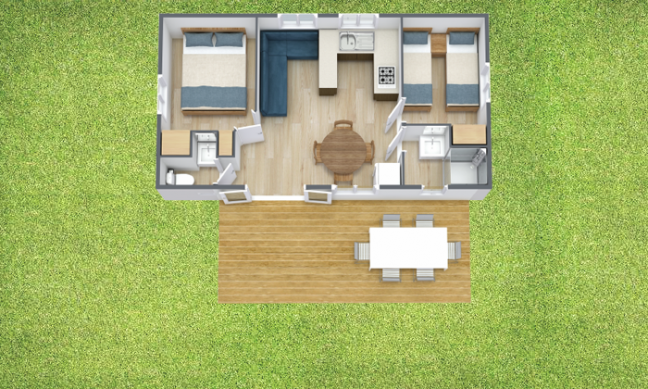 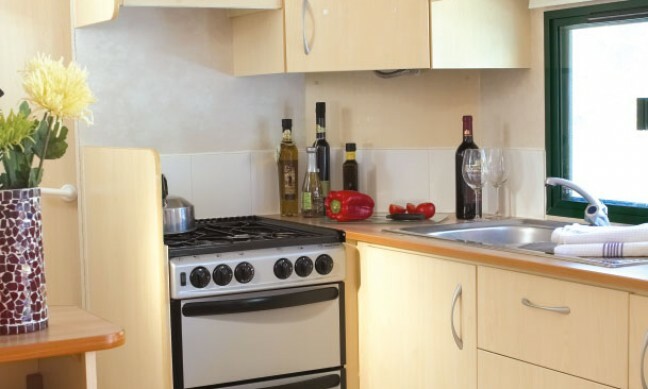 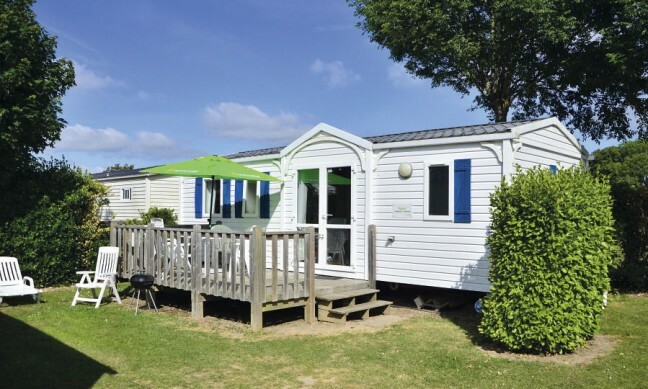 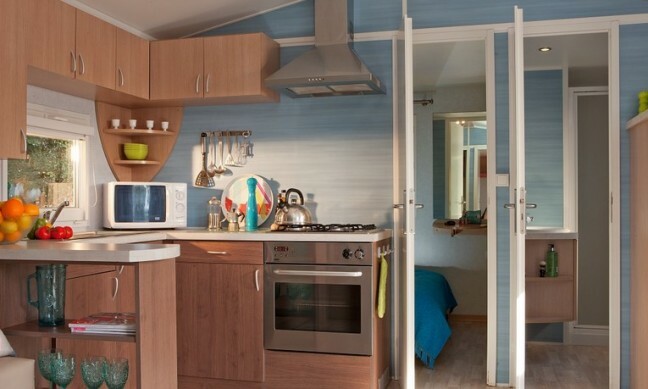 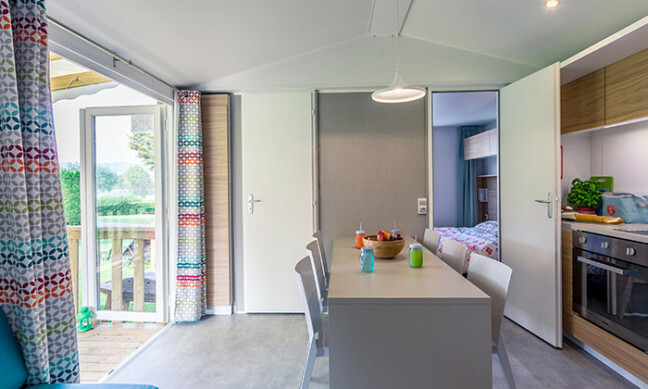 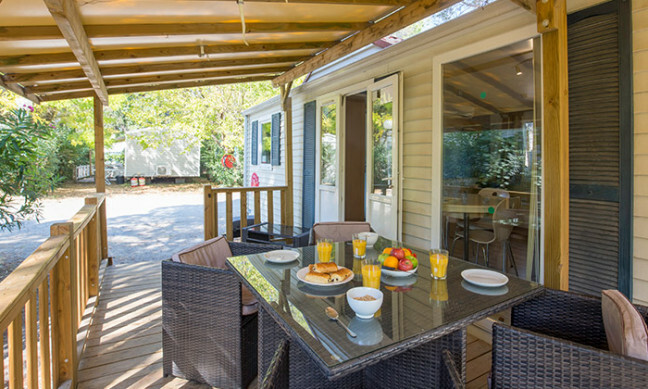 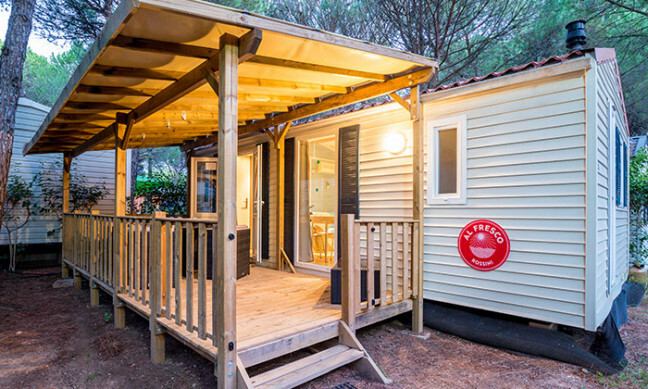 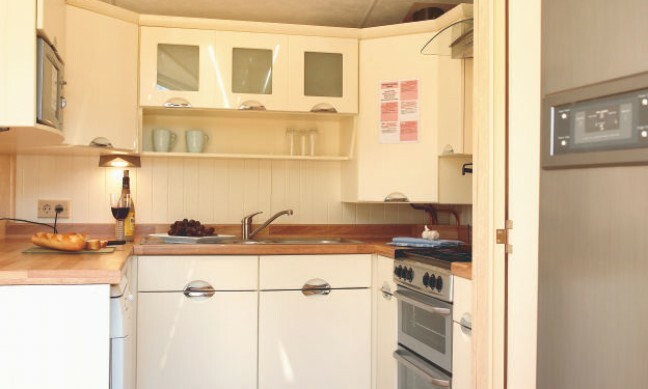 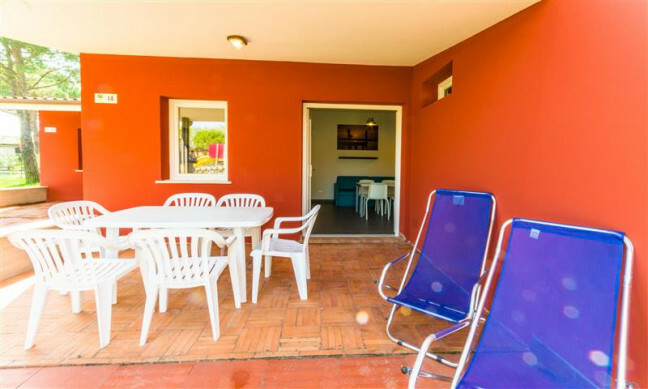 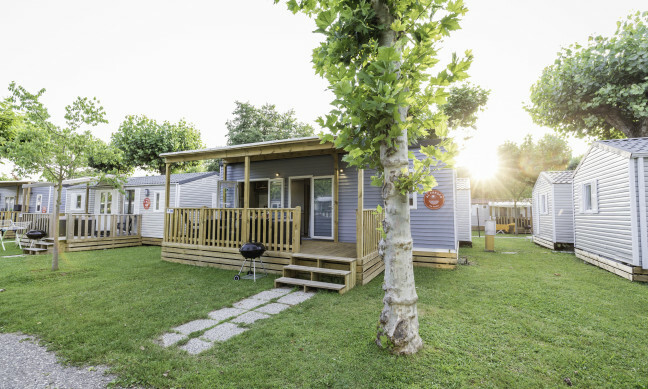 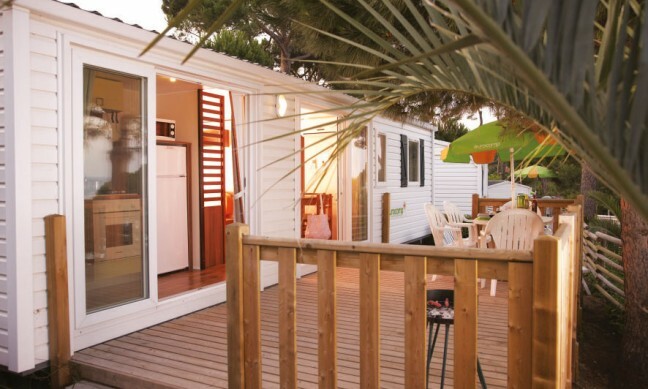 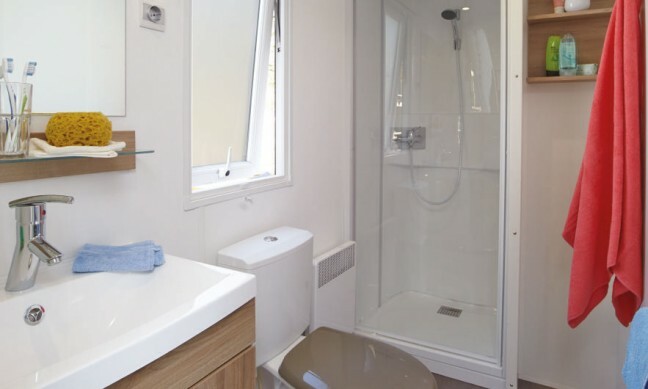 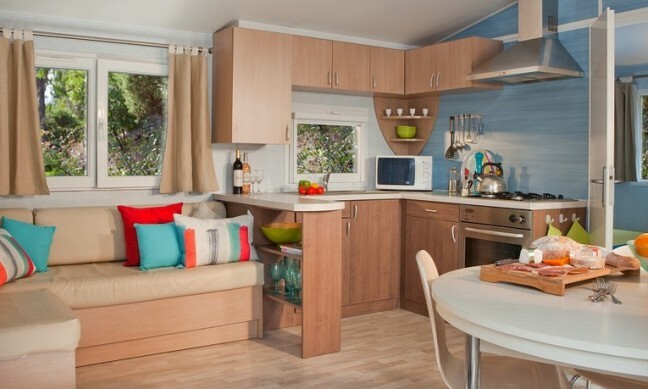 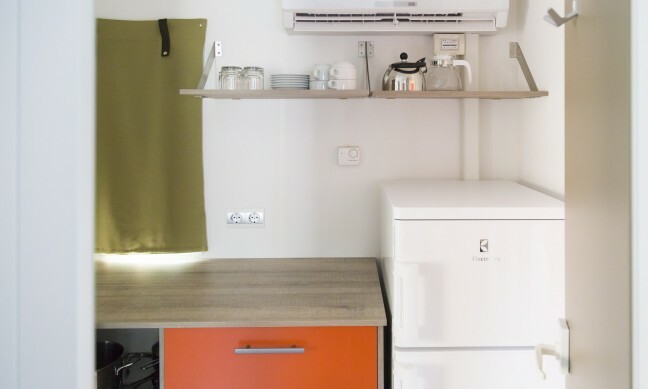 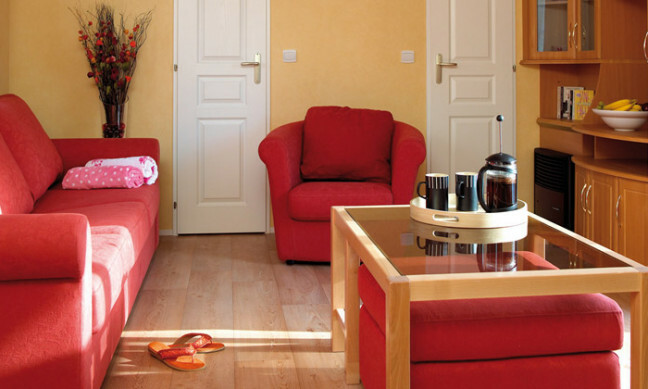 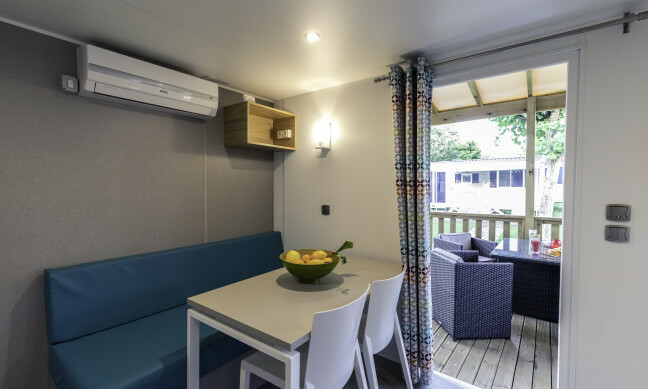 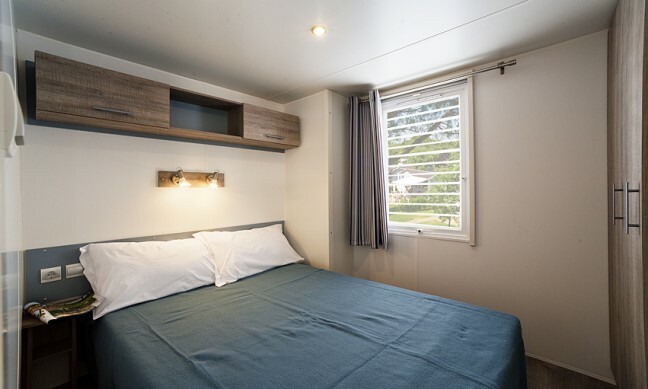 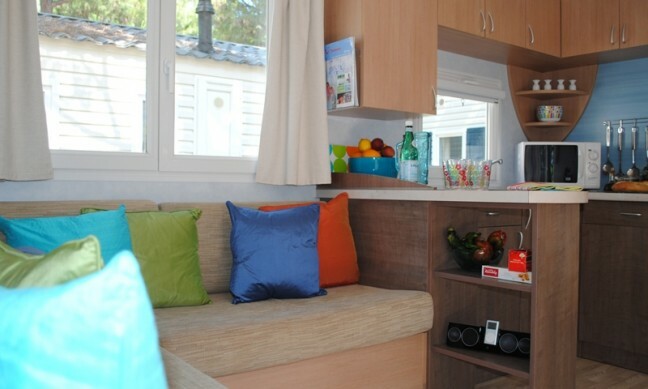 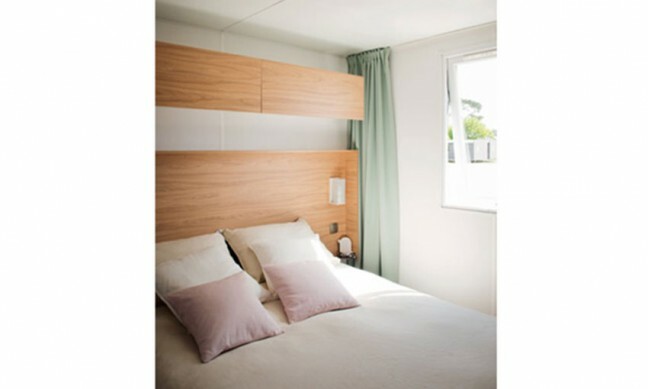 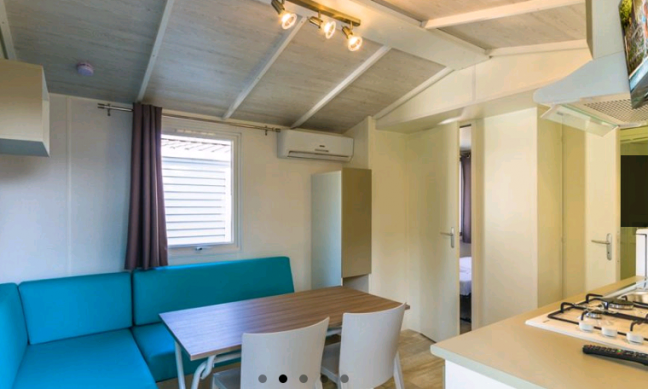 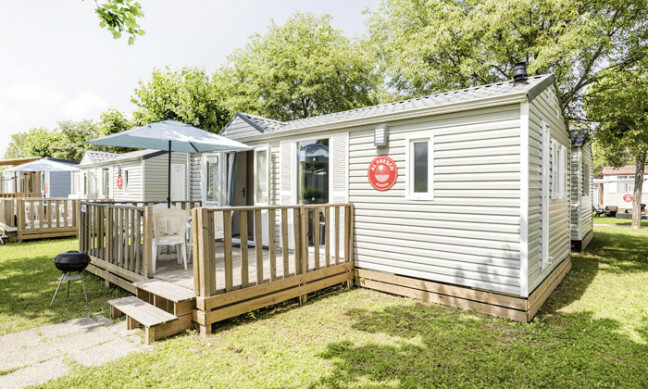 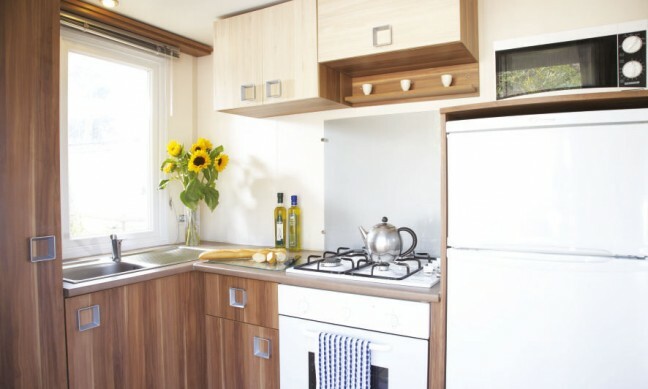 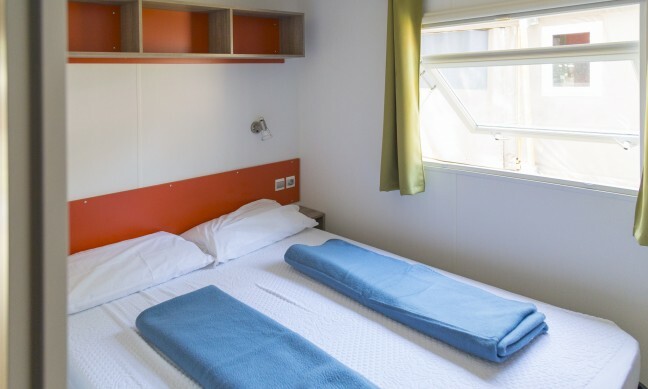 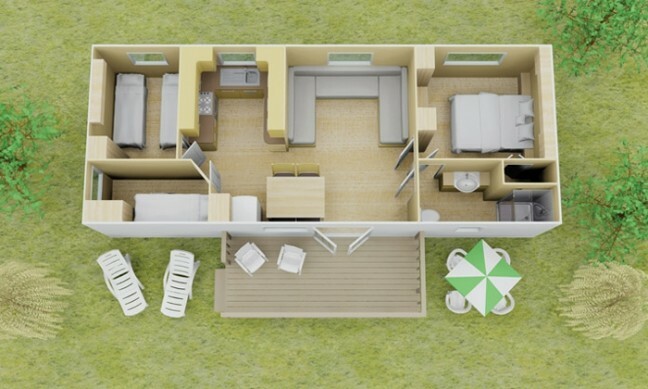 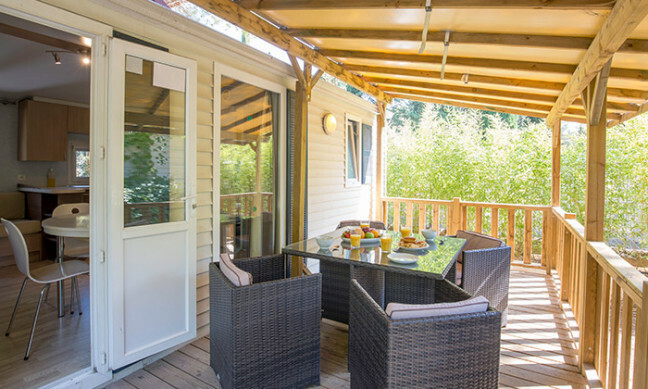 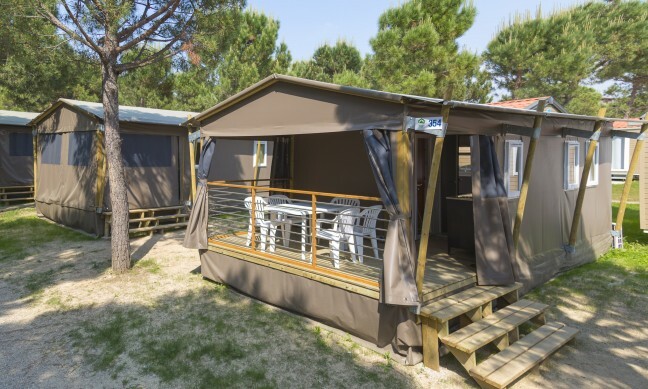 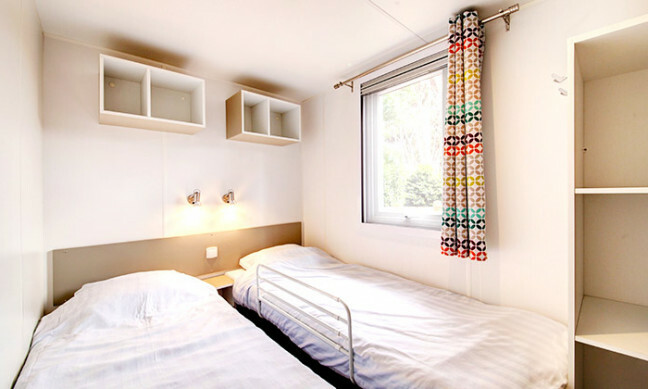 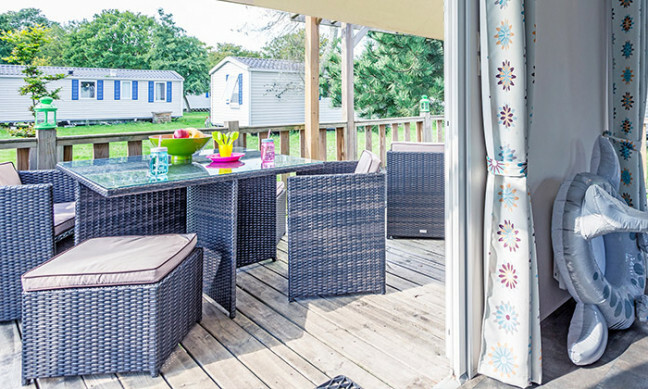 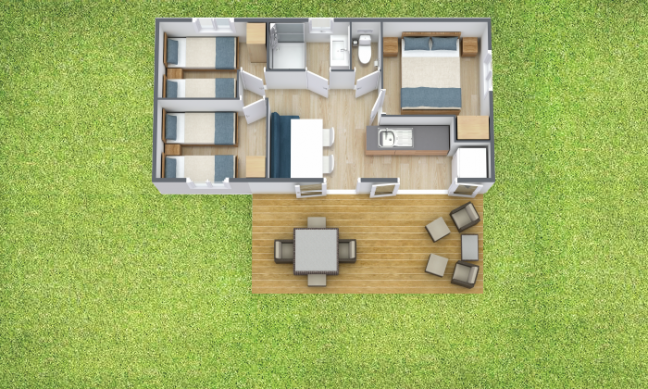 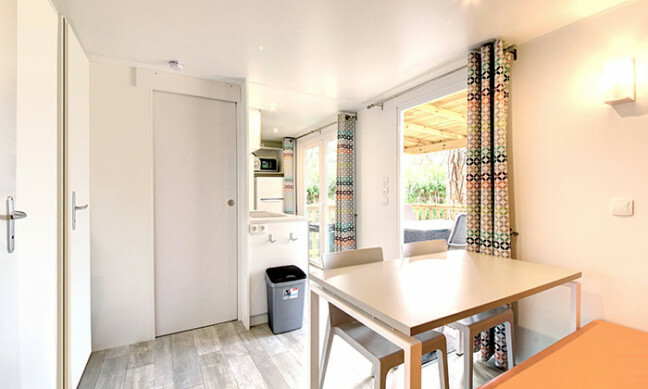 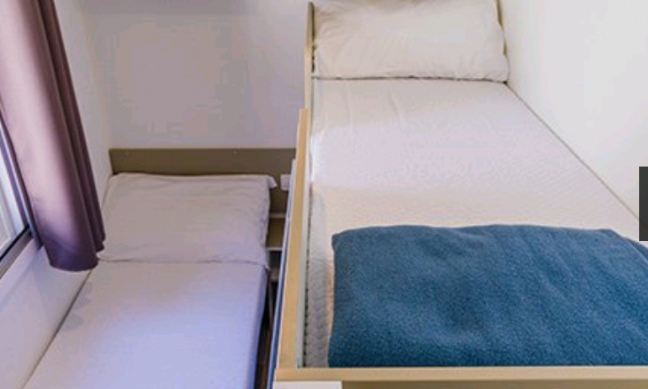 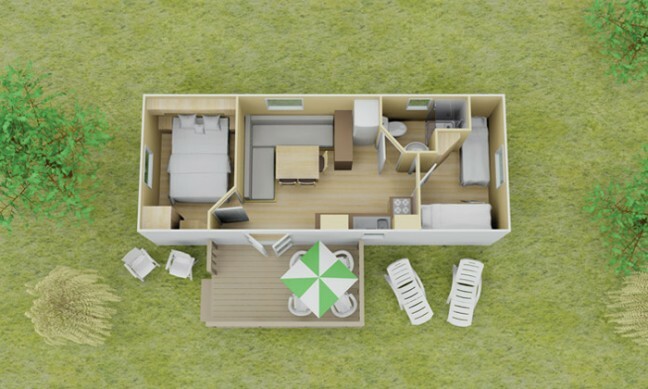 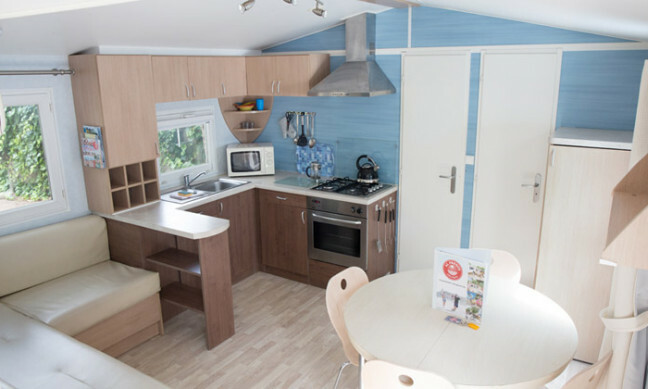 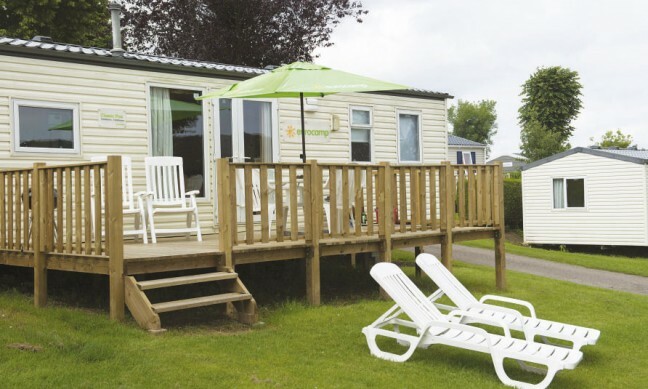 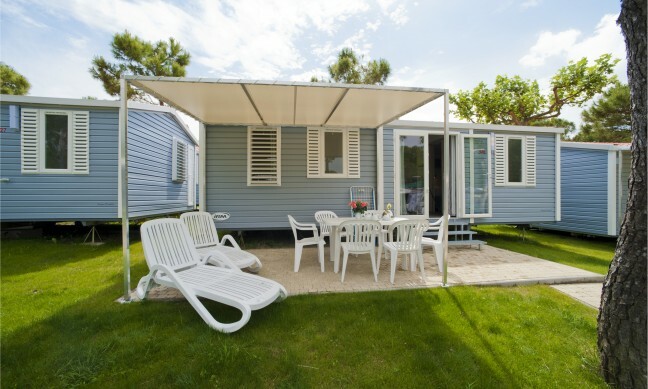 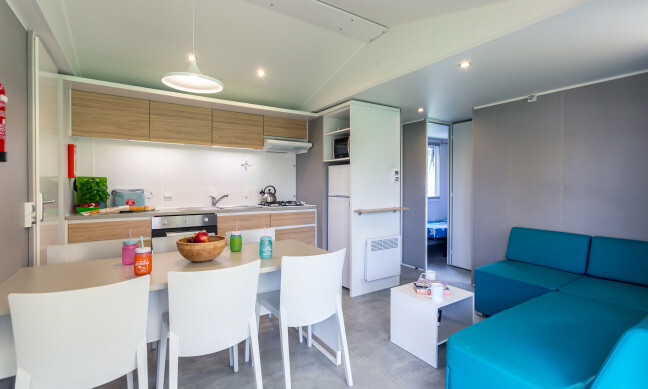 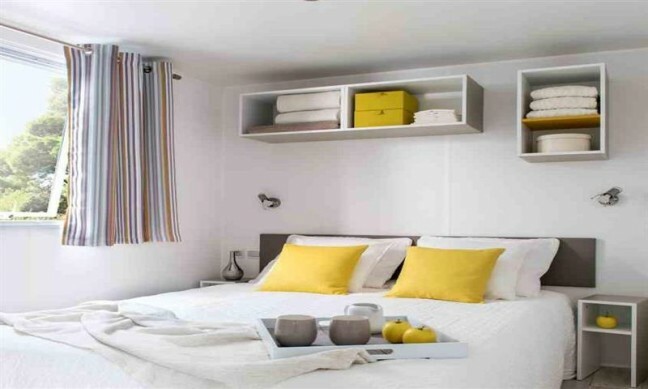 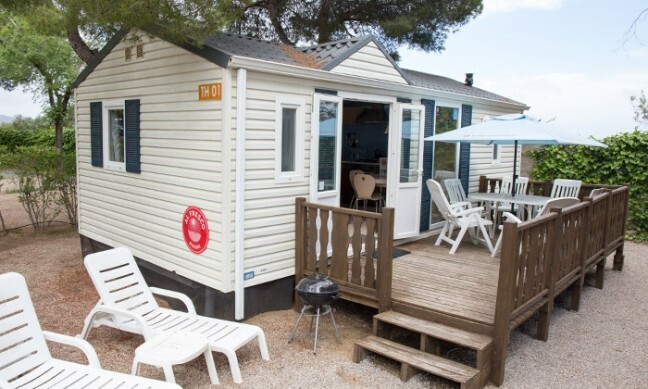 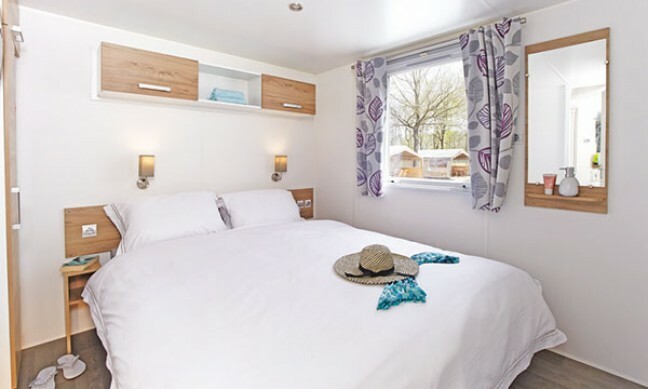 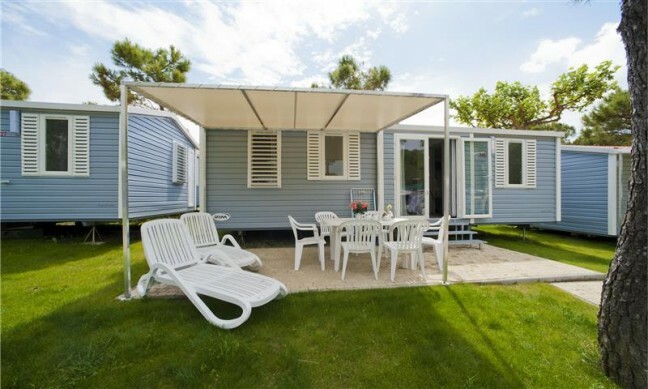 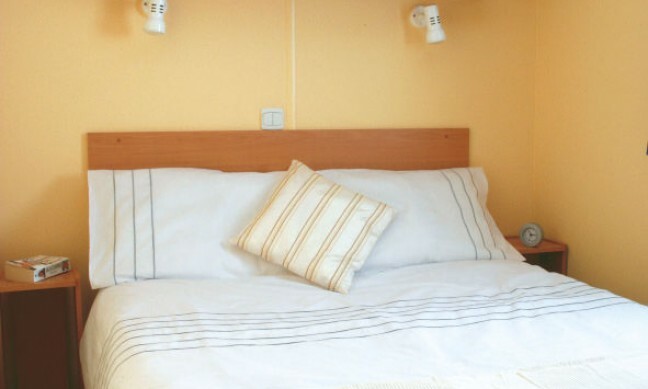 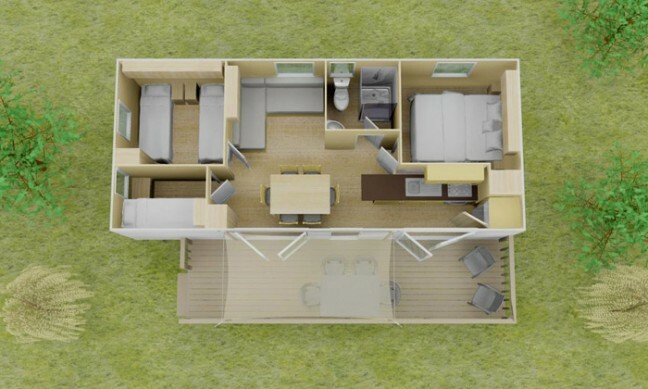 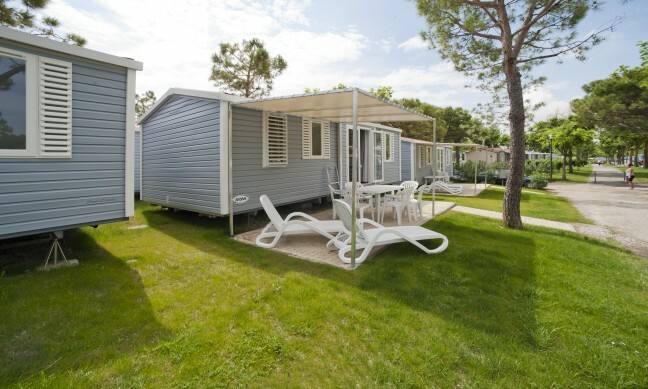 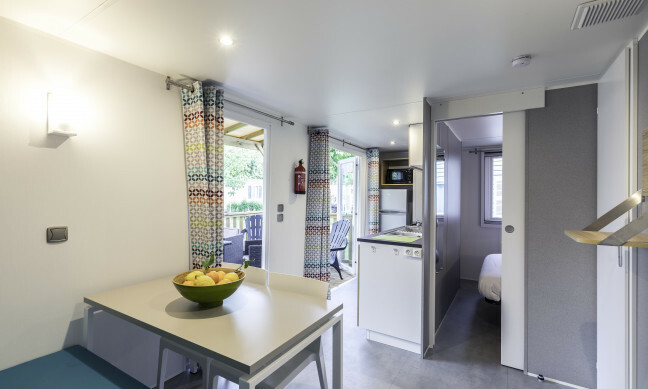 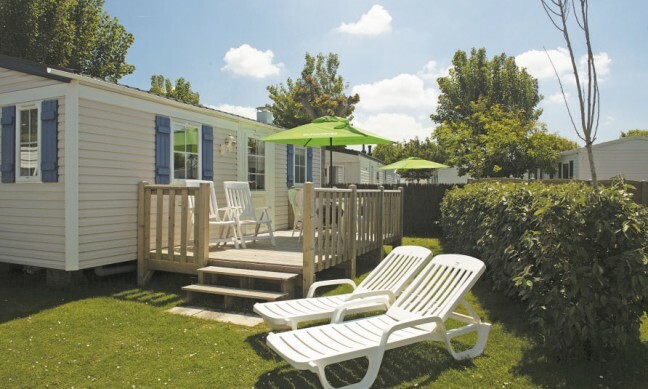 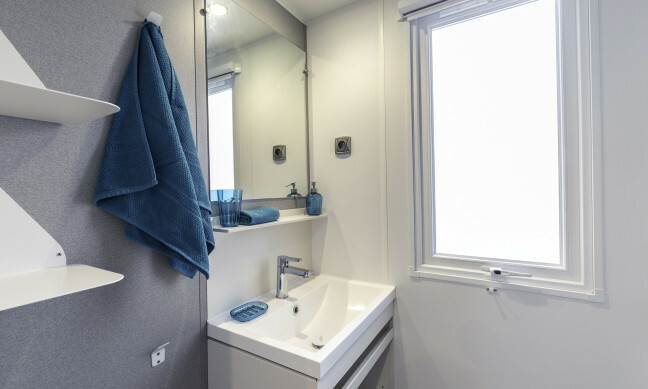 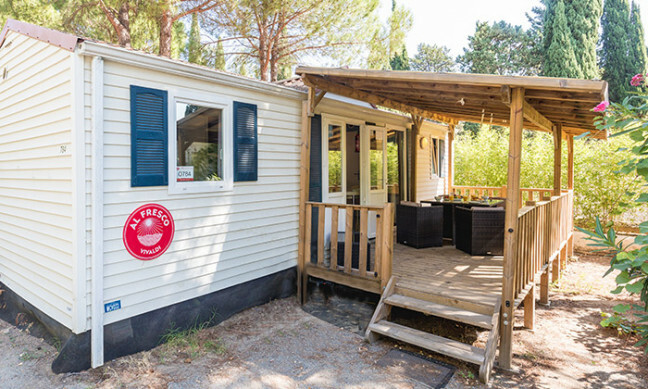 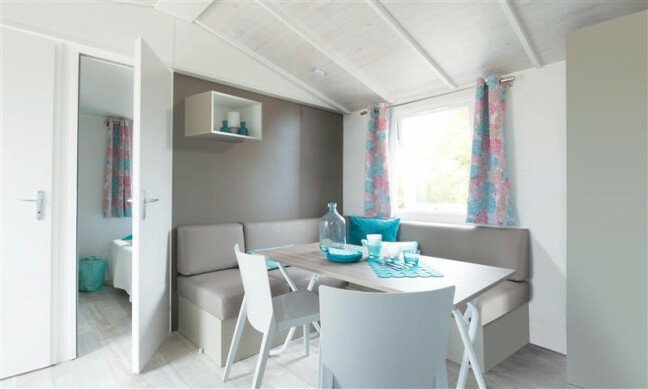 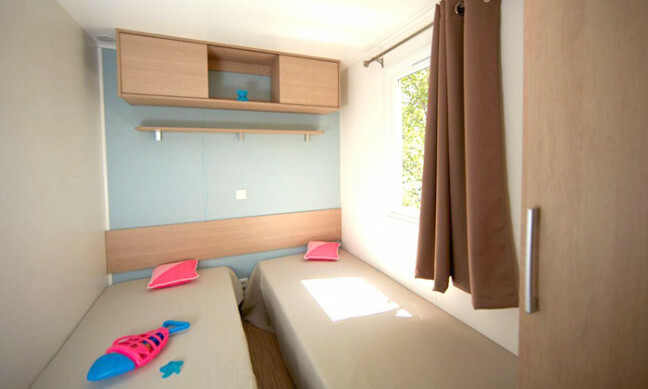 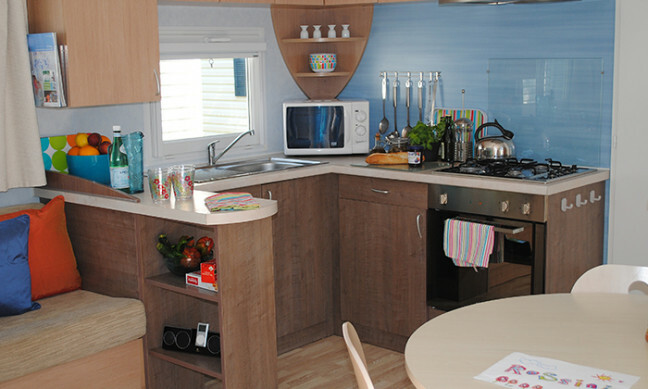 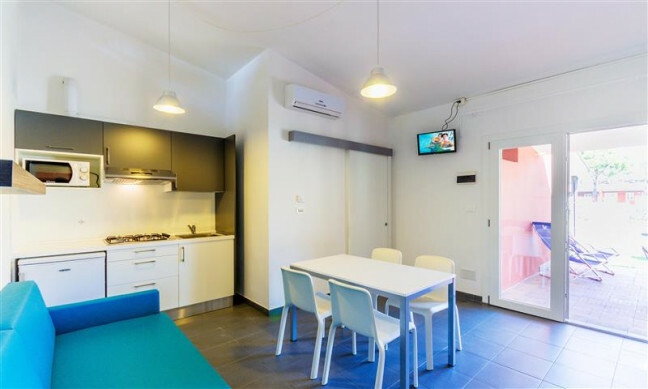 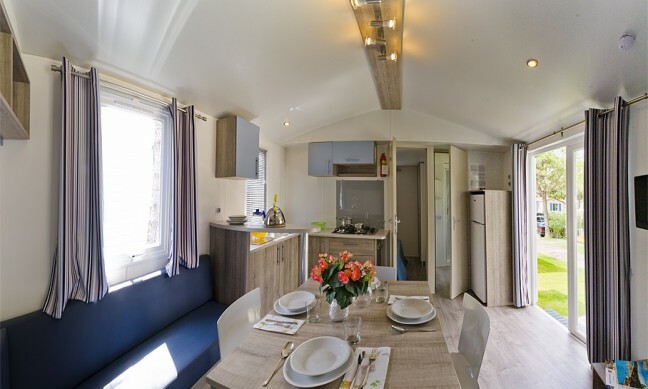 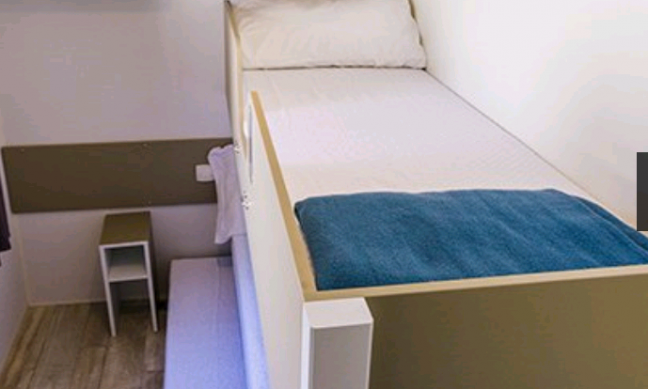 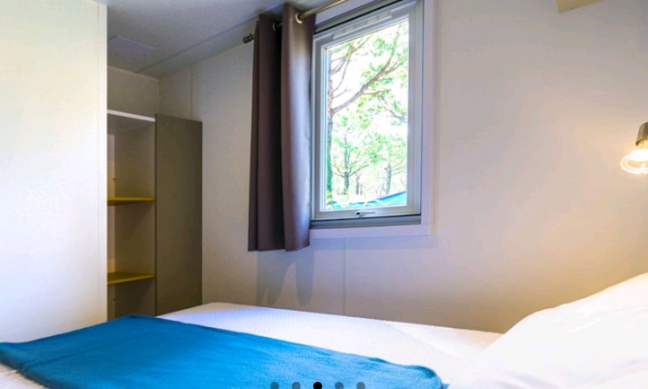 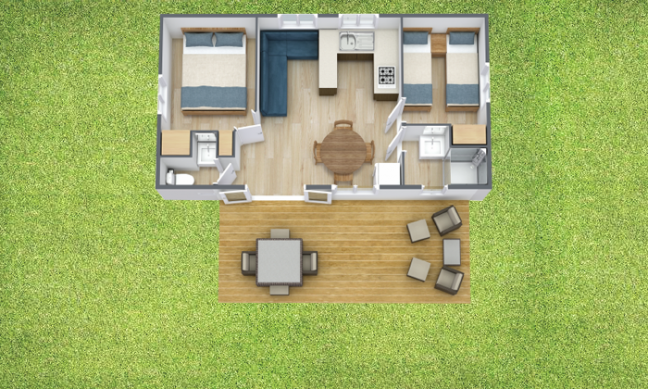 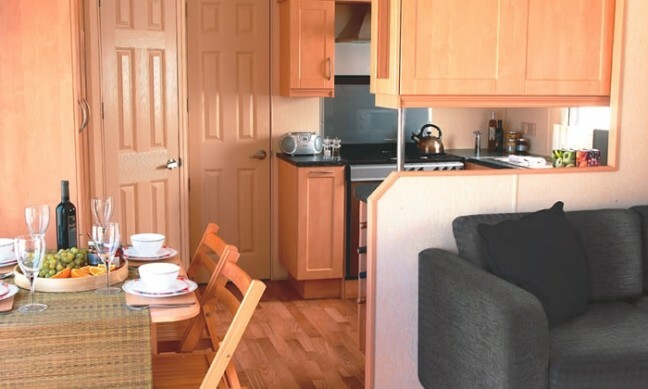 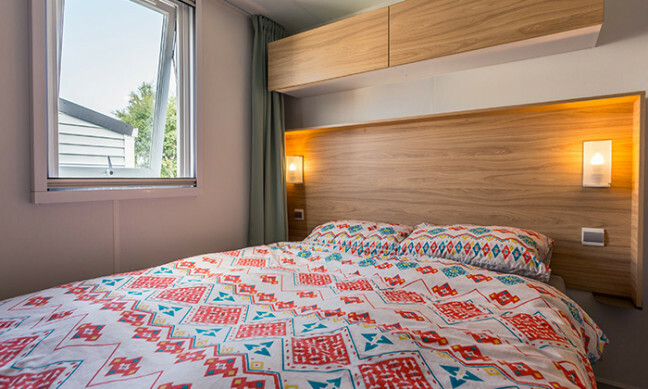 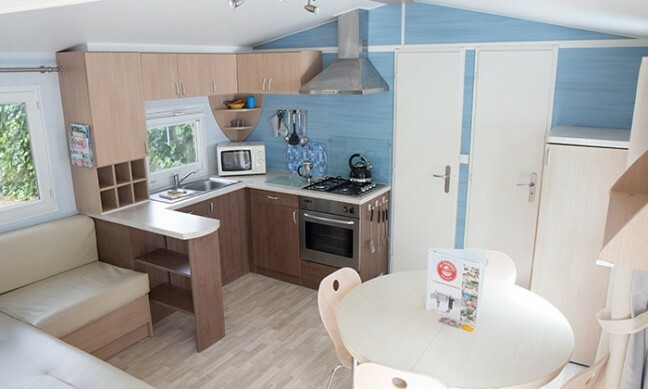 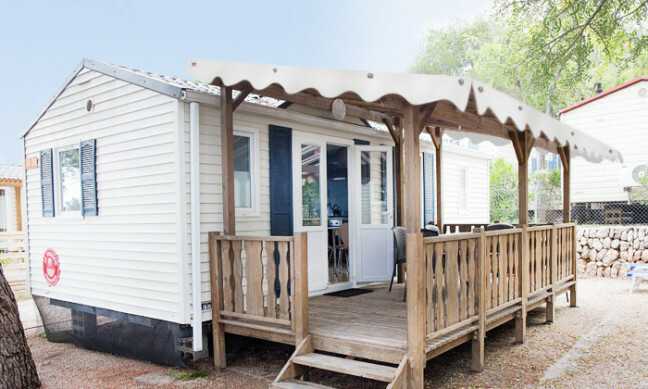 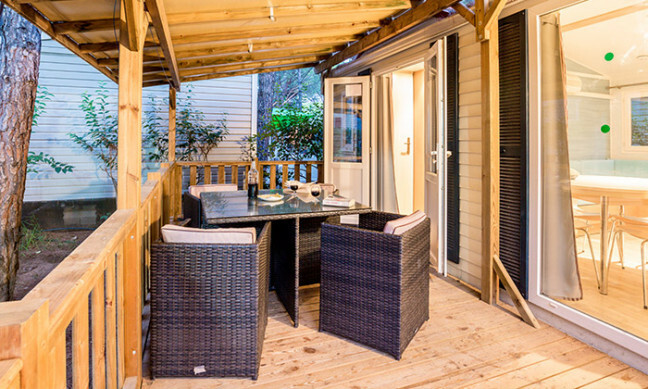 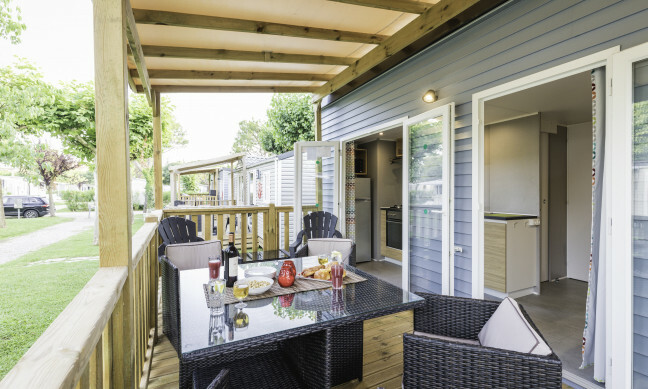 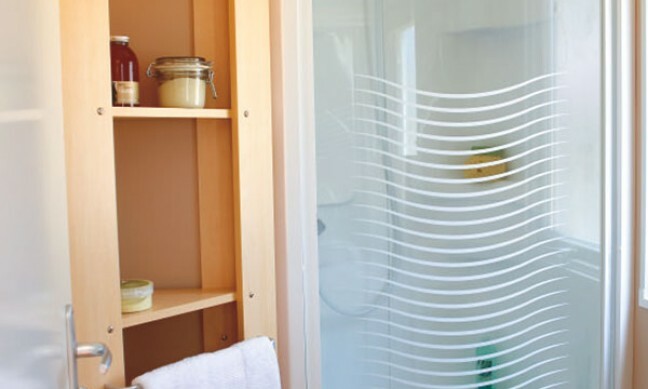 On Del Garda Village & Camping, Allcamps offer the deluxe Oleandro mobile home, where you can enjoy your air conditioning at no extra charge and relax on your tiled patio. 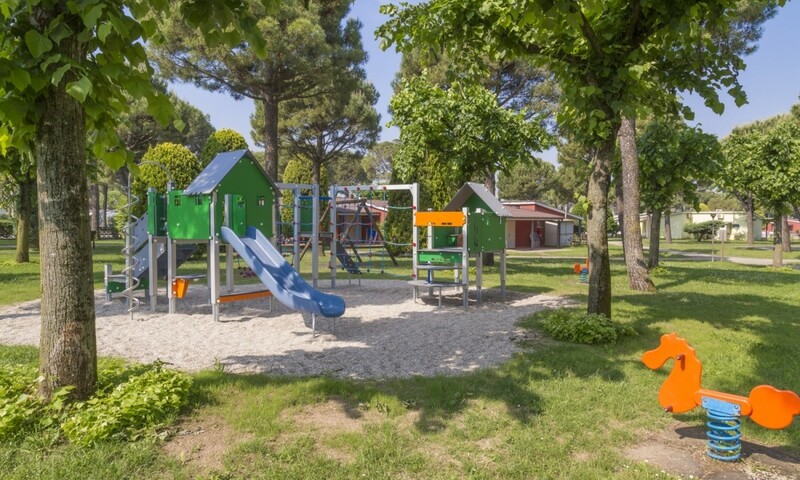 The pretty village of Peschiera del Garda is within walking distance from Del Garda Village & Camping. You will find some charming little restaurants, bars and quaint shops. We recommend that you try a delicious Italian ice cream!Lake Garda has stunning views with plenty of activities for everyone. 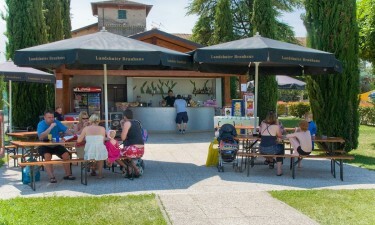 If you would like an exciting day out then Gardaland is directly on the lake and is the biggest theme park in Italy! 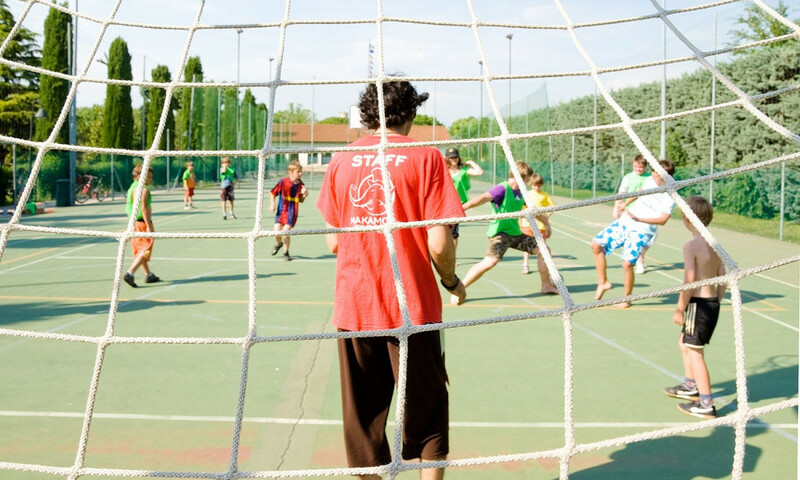 If you are looking forward to a cultural day out then do not miss the opportunity to explore Verona, Venice or Milan. 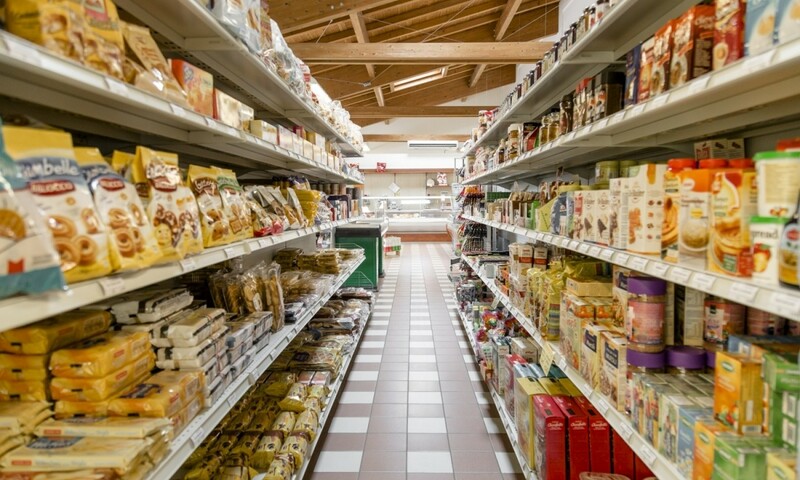 You should definitely spend a morning meandering around a traditional Italian market in one of the villages near the campsite.